CLEVELAND -- The person who can claim to be the first to try to hack around a golf ball in the snow is probably the same person who decided it would be fun to "surf air" at an altitude of 10,000 feet. The participant would not only have to be reckless but insane to attempt such a moronic stunt. Unless, of course, it's for charity. At the Lakewood/Rocky River Rotary's annual Chili Open, golfers can at least warm themselves with the thought that their actions will benefit numerous charities. As they sit in hospital beds, staring at where there pinky toe lost to frostbite used to be, they'll know that the Red Cross, Salvation Army, Easter Seals, Jones Home, Camp Cheerful, March of Dimes, Strongsville schools, DARE program, Our Lady of the Wayside or Boy Scouts have a few more dollars to help those in need. Rotary president Rick Voigt says the first Chili Open was started in 1977 by the Poland, Ohio Rotary Club and played on a frozen lake. It was so popular that spinoffs of the tournament were created all over the state. The Lakewood/Rocky River Rotary tournament has been the most successful, says Voigt, with $1.1 million raised for charity since the first held in 1992. 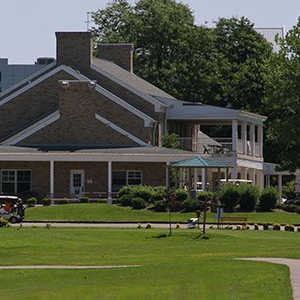 The event takes place at the Cuyahoga County Fairgrounds off Bagley Road in Middleburg Heights and typically involves 800 golfers and 200 volunteers. This year's event will be held on Feb. 28 from 9 a.m. to 4 p.m. Participants pay $40 apiece to play three 9-hole courses and eat and drink all the food and beer they can handle. The average hole length is 60 yards, and artificial turf mats serve as tee areas. Golfers are given orange golf balls, but if the snow's deep enough the color of the ball really doesn't matter. "When it's snowing, it's a lot of fun to try to find your ball," Voigt says. "If it's early in the day, you can see the plug where it landed. But a lot of times it's snowing so hard you have no idea where the ball went. You just can't take it serious. You don't go out with the intention of improving your game -- you say this is the craziest thing I've ever done, and it's a blast." A blast of cold air, maybe. There's lots of other things people can do for fun, like water ski or surf in much warmer temperatures. Who in their right mind would seek fun in frozen fairways? Bill Henry, that's who. Henry and his brother, Pat, have participated in the Chili Open for the last nine years. They compose part of a group known as the "Mad Hatters," guys who show up at the event wearing outlandish lids. They're typically the first ones to show up at the event and the last to leave. Perhaps calling them "mad" is appropriate since they, too, think golfing in the snow is fun. "A lot of us are avid golfers," Henry explains. 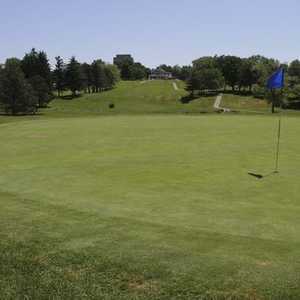 "When you're in northeast Ohio you don't get many opportunities to go on the links. At the Chili Open, we get to play a little golf, see friends and cure our cabin fever. Plus, it's for a good cause." The "Mad Hatters" might not be so crazy after all if one considers their pre-round preparation. These guys don't go shirtless to prove their manhood or anything -- they bring instant heat packs for their hands and feet and are fully outfitted for the frigid weather. But their sanity must be called into question again when you factor in their weather preference. "I love it when it's really cold and snowing hard," Henry says. "That's why you're there -- to battle the elements." Not everyone agrees, however. Many people have attempted to play the Chili Open, but some decide to make it only a one-time affair. "Some people show up and it's cold and raining out and they say, 'I'm not going out,'" Voigt says. "And some people play two or three holes then quit and don't come back. But there are other people who've done it and thought it was a great time and vow to come back the next year." With so much money raised, it's obvious that more people return each year than not. In fact, Voigt has it broken out precisely: one-third of the field returns every year, and of the remaining two-thirds, one-third are new and the other third are repeat customers. And they're not just coming back because they're gluttons for punishment. The food, Voigt says, is outstanding and includes pizza, kielbasa sandwiches, chicken wings and, of course, chili. Plus, a sports memorabilia auction that has accounted for over $30,000 raised is held after the outing. To try to inject more fun into the event, organizers added a putting contest and hole-in-one contest with a car as a prize. The only ace at the hole, which typically measures 175 yards, occurred in 1995. "The ground was frozen like a rock," Voigt recalls. "The ball took one high bounce and went into the hole." So, the general advice for anyone looking to take on the Chili Open this year? 1. Wear warm clothing. 2. Don't take it serious. 3. Pray for a snow storm. Hey, you only live once.